The first step to truly loving others is to first look in the mirror, see yourself as your own best friend, and love this friend. 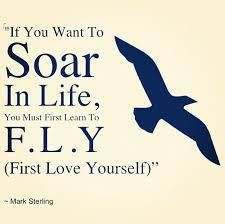 When you love yourself, you drop judgment and stop listening to the criticism that arises in your mind. This paves the way for more love to come into your life. This entry was posted in dont use and tagged acceptance, Divine Guidance, divine guidance, divine message for the weekend, DivineLoveDivineLife, inspiration, Inspirational Quotes, love, positive attitude, self care, self love, spiritual. Bookmark the permalink.